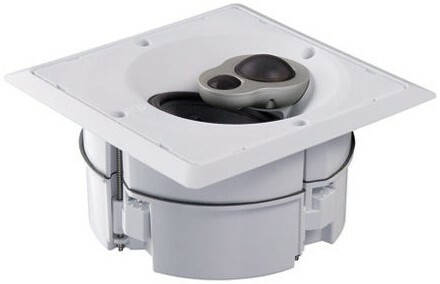 Square in-wall/ceiling version of the round 104C-R model with 2K driver array and paintable grille. Earn 349 loyalty points when you order this item. 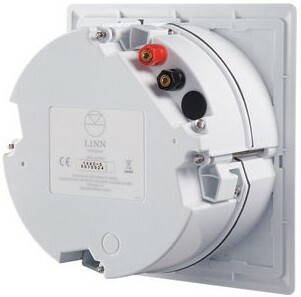 Linn Sekrit 104C-S In Wall / In Ceiling Speaker (Single) is the square version of the round 104C-R model. 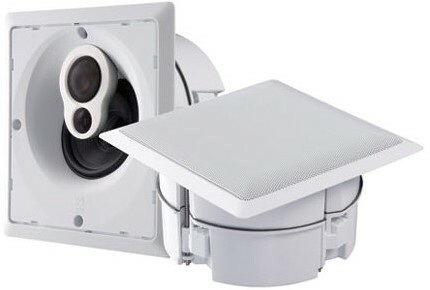 Offering greater compactness than the 106C, 104C-S is designed to retain Linn's high-performance sound while opening up many flexible options for wall or ceiling applications. A sealed acoustic enclosure delivers repeatedly high performance, regardless of the wall type or size of cavity used. 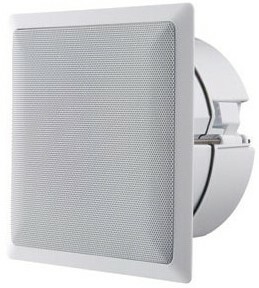 The 3-way in-wall/in-ceiling speaker incorporates a 2K Driver Array that produces incredible clarity at high frequencies while providing wide and even dispersion throughout the room. Quick and easy-to-install, 104C-S can be fitted from the front. 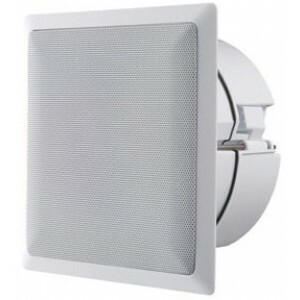 The speaker is available with solid and cavity wall backboxes and rough-in brackets. Like the other speakers in the Linn Sekrit range, 104C-S can be painted to match your wall for the ultimate hidden solution, it even comes supplied with paint mask.